Vodafone Events Centre is owned and operated by Second Nature Charitable Trust (formerly Counties Manukau Pacific Trust) on behalf of the community, and is one of Auckland’s most iconic event venues. Our team reached out to Joseph the GM of Community Engagement with a vision to create a 360 Virtual Tour for both the Events Centre and Wero Whitewater Park. This tour features beautiful visuals using aerial drone images as well as 360 stills showcasing the variety of spaces both inside and outside the Vodafone Events Centre. 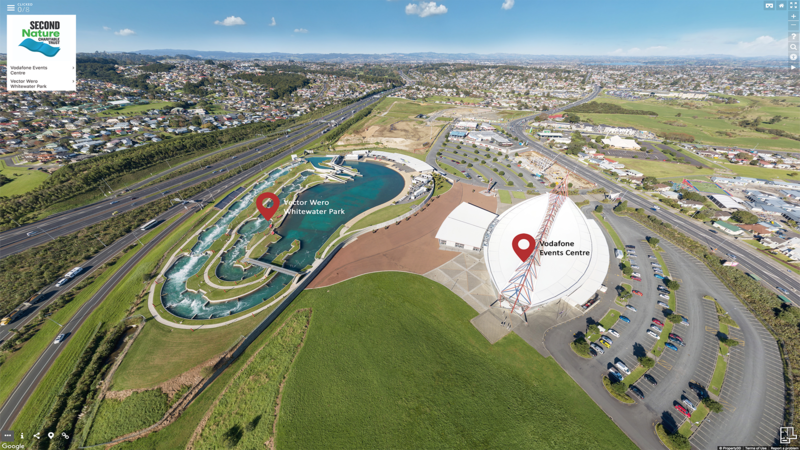 The Wero White Water Park is a world class venue and something completely unique to Auckland so getting up close and personal in this space has allowed us to capture some spectacular imagery to display the beauty of this facility Second Nature Trust has to offer. Property3D was fantastic and so easy to work with. They were able to work within our budget and gave expert advice, so we can maximise our package. They guided us throughout the process and was very patient with our questions as well. We’re very satisfied with the result and we’ll be looking at building on our virtual tour with Property3D in the near future.